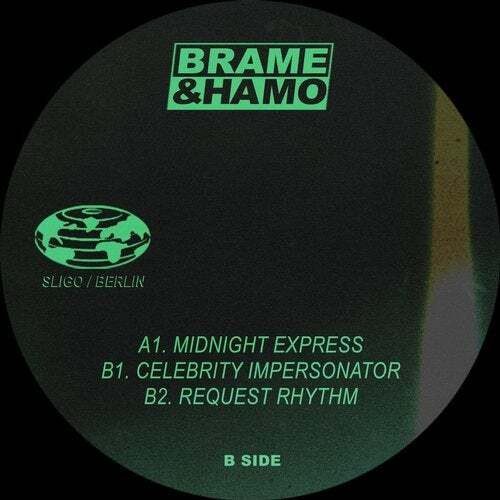 At the forefront of the Irish electronic music scene, Sligo-born Berlin-based duo Brame & Hamo, aka Tiarnan McMorrow and Conor Hamilton, announce their hotly anticipated fourth EP, "Celebrity Impersonator" out on the 29th October 2018 via their own imprint, Brame & Hamo. The title reflects the duos personality and playful energy, nodding to their love of celebrity impersonators whilst growing up. "We have a bit of a soft spot for impersonators as it is a pretty ridiculous way to earn a living. A bit like DJing! Our favs were those of Tom Cruise, Bill Gates, Gordon Ramsay and Johnny Depp". Opening with 'Midnight Express', the rolling melodics nod to the early sounds of prog house and Italo, acting as a transitional opener to their signature trance via techno scores. On the B-Side, title track 'Celebrity Impersonator', is a moody four four that edges into the darker realms with their love of breakbeat shimmering through, resulting in a club ready anthem. Melting down into a rolling trance groove with a late night heady feel, 'Request Rhythm' closes the EP. With an impressive discography of EP's behind them on their own imprint - Trants, Club Orange and the DJ favourite, Limewire, as well as bookings worldwide the Irish pair are set to propel onwards from Sligo to Berlin and beyond.